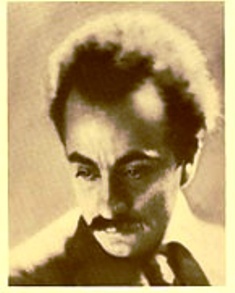 Khalil Gibran :(January 6, 1883 – April 10, 1931) was a Lebanese American artist, poet and writer. He was born in today's Lebanon and spent much of his productive life in the United States. One of his most notable lines of poetry in the English speaking world is from 'Sand and Foam' (1926), which reads : 'Half of what I say is meaningless, but I say it so that the other half may reach you'. 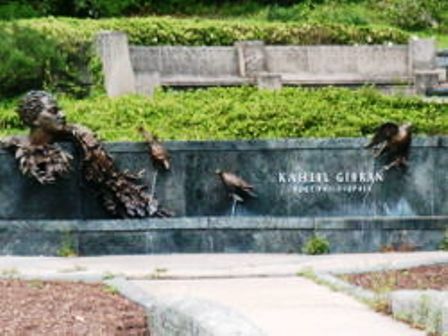 Khalil Gibran memorial in Washington, D.C.